In a thundering voice Sunday night at a gymnasium in Cordoba, about 1,000 members of a migrant caravan that has been moving northward through Mexico voted to try to get to the capital Monday by walking and hitching rides. Cordoba is 178 miles from the capital by the shortest route, which would be the group’s longest single-day journey yet since they began more than three weeks ago. The vote came after weary caravan participants made it to Cordoba after a 124-mile trek through Veracruz, a state where hundreds of migrants have disappeared in recent years, falling prey to kidnappers looking for ransom payments. The estimated 4,000 migrants in Veracruz are still hundreds of miles from the nearest U.S. border point. While the bulk of the caravan streamed into Cordoba, a colonial-era city in Veracruz’s sugar belt, to be greeted with Caribbean music and dance, some bleary eyed migrants forged ahead to Mexico City. Most of the migrants said they remain convinced that traveling as a large mass is their best hope for reaching the U.S. The migrants generally say they are fleeing rampant poverty, violence and political instability primarily in the Central American countries of Honduras, Guatemala, El Salvador and Nicaragua. 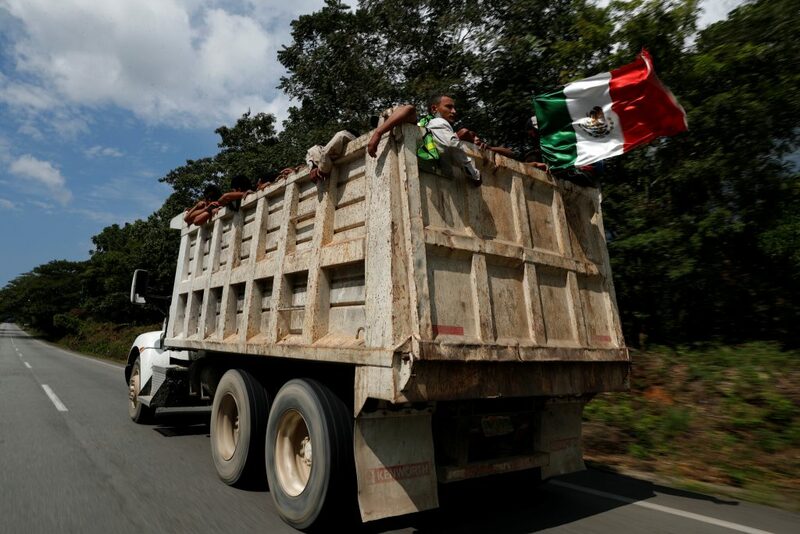 Mexico faces the unprecedented situation of having three migrant caravans stretched over 300 miles of highway in the states of Chiapas, Oaxaca and Veracruz. The largest group was the first to enter Mexico, and it has been followed by a group of about 1,000 that crossed over from Guatemala last week and a second of about the same size that waded over the Suchiate River on Friday.